The Throwbacks cut a promo backstage. Hatfield said they were going to go to battle tonight against BDK. Dunkerton said he was in love with Daizee Haze. Hatfield walked away in disgust. Dunkerton said he had love in his eye for Haze. After the match, Tursas nailed Dunkerton with a splash for good measure. Lince Dorado and Tim Donst were shown backstage. Donst said he could tell that Dorado was ready. Dorado said he was going to show him he was ready. Pinkie Sanchez cut a promo backstage. He said he had more heart than Green Ant. Sanchez said when he came to Chikara as Carpenter Ant he plowed through the competition, but the fans only cared about his character. He said he was going to go to the ring to express his emotions. UltraMantis Black cut a promo backstage. He yelled about Ares and the BDK. He said they had destroyed everything in his life. Black said he was a single man without an army now. Black said Ares would pay tonight. He said he would get his revenge. He said Ares must die tonight. 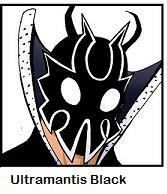 (6) Ares vs. UltraMantis Black (w/Crossbones). Both men had a stare down. Ares simply backed down and went to the back. Ares came back with Delirious on a chain. Black jumped Ares from behind as he attempted to tie Delirious to the ringpost. The action spilled to the outside where Ares took control with a suplex on the turf field surrounding the ring. Both men continued to battle on the floor, but Black managed to fire back and counter a double underhook into a backdrop. Ares took control once again when the action resumed inside the ring. The announcers talked about how Black and Ares were similar in terms of their intelligence. (7) The Unstable (Colin Delaney & Vin Gerard) & F.I.S.T (Chuck Taylor & Gran Akuma) vs. Mike Quackenbush & Jigsaw & Incoherence (Hallowicked & Frightmare). Quackenbush and Jigsaw worked together to take Gerard and Taylor to school during the early stages of the match. Frightmare and Hallowicked then showcased their abilities as a team with Frightmare taking down Akuma on the outside with a running head scissors under the bottom rope. The pace really picked up with men able to enter and exit the ring when someone rolled to the outside. 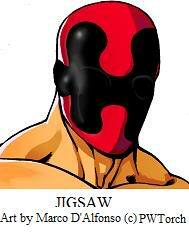 After a great sequence, the heels got the advantage as Akuma worked over Jigsaw. The heels continued to work over Jigsaw. Taylor hit a moonsault off the apron to the outside onto Jigsaw. At the same time, Gerard took out Frightmare in the corner inside the ring. The heels worked over Frightmare for a long period of time until he hit a dive to the outside, which forced a tag to Hallowicked, who ran wild. Overall thoughts: (7.0) This was a really fun show from start to finish. The entire focus of the show was on BDK's invasion of Chikara, which played into nearly every match on the card from start to finish. The storyline seems to have a lot of layers, but I was able to jump into this show and get a good grasp on what has been going on in Chikara by listening to the announcers recap the angle, which launched at Chikara's final event of 2009. The card really heated up starting with the Stigma-Ophedian match, which was really good. An insane tag match featuring Tim Donst & Lince Dorado taking on Equinox & Helios bolstered the middle of the show. This show shall be forever known for "The spot," which took place towards the end of the match, so when you see it, you'll know what I'm talking about. It was insane. The second half of the show was strong as well. I really enjoyed the Pink Ant-Fire Ant contest. They wrestled an aggressive match that had the crowd on their feet at times. There was some really great back and forth action down the stretch before Pink Ant submitted Fire Ant with the Chikara special. The semi-main event was more of an extended angle than a match, as Ares taunted UltraMantis Black by bringing out Delirious on a chain leash. Of course, this played into the finish of the match, which saw Ares pick up a cheap win. The 8 Man Tag main event was the best match on the show. They built up to a really fantastic finishing sequence of maneuvers that had the crowd going crazy. It was nice to see the faces go over in the end, as this night seemed to be going mostly for the heels before the last match. I give this show a solid recommendation. It's certainly a fun show and the storylines and in-ring action sucked me right in. There's no match of the year candidates here, but the show as a whole had a great atmosphere and there really wasn't a bad match on the show. Thumbs up!